Home » Ashura » (Dis)Honoring Imam Hussain’s Legacy? I remember when I used to anticipate the beginning of Muharram. Not because it’s something to celebrate, but because it brought me close to my community and close to my faith as we commemorated the sacrifice that Imam Hussain made for Islam. It’s not just that he was beloved to the Prophet of Islam, rather it is simply heart-wrenching that someone who loved God, worshipped God, and served God the way that God Himself expects to be worshipped, had experienced such hardship and violence upon leaving this earth. 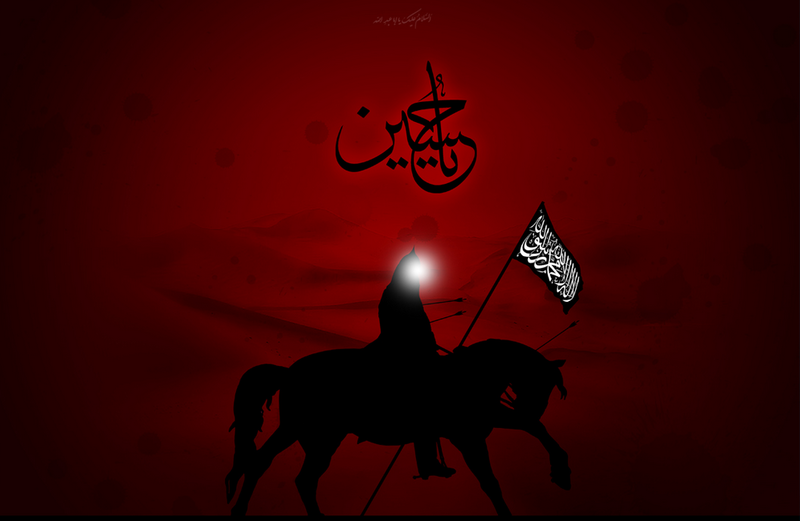 It’s tragic to think that a light as powerful as al-Hussain once radiated this earth, and was brutally ripped from its trenches, leaving behind loved ones who kept the light of Islam alive through the constant remembrance, iterations, and honoring of his name. Though I still anticipate what Muharram has to offer and undoubtedly feel intense love for Imam Hussain, I often fear that I have lost sight of what he fought to preserve which is not only shameful, but a disservice to his memory. To be more specific, I worry that in trying to make sense of what Imam Hussain went through, that I dilute the point of the story. Of course we must make note of how he and his family were deprived of food and water for three days in the hot desert, and try to place ourselves amidst those who withstood the sound of wailing children as days and nights fell upon one another, and still chose to patiently cater to those in need. The image I picture is a small community of followers, whose focus on Islam and protecting the one who God himself loves, Hussain, was so strong and firm that it led them to care for one another during dire circumstances impossible for anyone to fathom today. It is a story that simply learning about, would revive one’s faith in humanity. To be honest, I almost pity those in this world who have not been exposed to the sincerity of Imam Hussain, the loyalty of his brother Abbas, the resilience of his son Ali-Akbar, the purity of his four year old daughter Sakina, or the profound strength of his sister Zainab. And though I’m filled with emotion as I write this and understand why it’s important, I’m also at a loss-what was the reason? If preserving Islam was the reason, then how do I, as someone who loves Imam Hussain and those who surrounded him, honor this today? Perhaps there is no other time in history where we can enact this message more than today, as we can see every land filled oppression as Karbala was, and know that people experience harsh oppression every day as Imam Hussain and his faithful family and companions did. We live in a world where injustice is not only prominent, but complicated through modes of globalization, legitimized through fear, propaganda and war, and at times perpetuated by oppressed groups themselves. It is one in which opting not to be socially conscious, is equivalent to complacency permitting oppression to fester to an ever-increasing body of voiceless victims at all corners of the world. The feelings of utter desperation surround me daily, and when I mourn for Imam Hussain I wonder if these are genuine tears of love for him, or tears of shame? What’s more is that this shame not only stems from neglecting those who suffer injustice, but also falling short of practicing basic Islamic obligations like failing to wake up for my morning prayer. I ask myself why don’t I stand up for justice, but more importantly, where is my devotion to God in all this? If I dedicate my time to remembering Imam Hussain solely through majalis, gatherings in which we recite stories and poetry in honor of Imam Hussain, am over-simplifying the message of Karbala? How can I come to terms with his struggle when this physical world, where injustice breeds, and our spiritual world, where spiritual ills fester, are both complicated and multi-faceted? Despite its complexity, however, recognizing that there is also beautiful cohesion to the story of Karbala allows me to find a sense of peace. That is, at every point of this story the individuals exhibited a clear dedication to serving God, and as a result, demonstrated what it meant to live one’s life with dignity. In other words, though there were times when each member of the Prophet’s household, and those devoted to God were abused, mangled, and deprived, there was never a time when they were un-dignified. They are loved in the hearts of people world-wide, and admired by those who truly believe in God (the love that we as individuals can only hope for). So, even though there are many things that I may struggle with daily, trying to perfect my obedience to God is the main endeavor that I take on in honor of Imam Hussain. Put simply, I can come to terms with his struggle, when I struggle even it is small in comparison like incorporating small and sustainable acts of worship into my daily routine, or boycotting products from companies that exploit workers. It will surely take time, patience, perseverance, dedication, and a willingness to understand my place in this vast world in relation to others around me, but it is this ongoing process that helps me come to terms with what happened at Karbala. This is how I remember, and attempt to honor, the legacy of Imam Hussain. Shereen Yousuf is based in greater Chicago area. She currently teaches political science and gender studies as adjunct faculty. Shereen also spends time as radio commentator discussing gender, politics and islam.